Tolino Reader And What Makes It Stand Out In Competition? Just Another Jack In The Game? We know that’s what you’ve been thinking. Again one more reader trying to define the eBook reader. We’ve got Kindle, so who cares? Also, do we need these users for all they’re worth? Does everything offer everything? Well, to answer them in one go, we do need more. Our logic is that more the number of readers, more innovations, and more options for users. Consumerism hails forward. That’s the whole point. We love options, don’t we? So now let’s add Tolino Reader to the mix of ebook readers mostly packed up with Kindle, Kobo, Nook (yes, it still lives) and more. When you look at it, Tolino isn’t that far behind, and validly so. You can’t just ignore it when it offers features which are equal if not better than the leaders in eBook readers. Therefore, let’s see what it gets to the party. To give you a brief understanding of the starting of Tolino, let’s spin back in time. It shouldn’t surprise you when we say Tolino came out as a result of European disparity in resource sharing. Back in 2014, when Germany looked at having their version of consumer products and end the supply chain from US or UK, they did many great things. They started products which stood on their own and even offered better services than their competition. Out of this thinking, German BookStores Club, in association with Deutsche Telecom came out with a device, Tolino. Tolino became the standard eBook reader for all the avid readers in countries like Germany, Austria, and Switzerland. 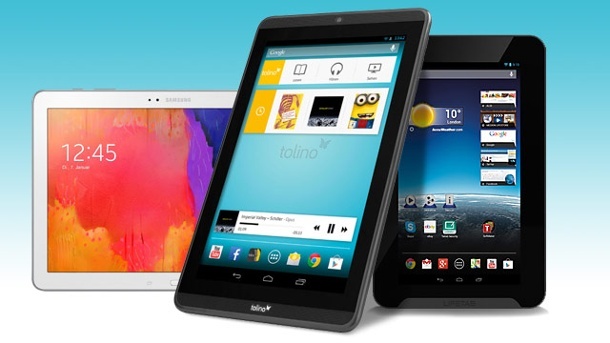 The leading bookstores formed a union of sorts and made Tolino their go to device. Therefore, Kindle sales took a deep plunge in the markets. Historically, Tolino was making all the difference. Tolino Comes To The World..!! As we spoke earlier, Tolino is a German product. Ironically, German products have a tinge of pride in them (except for their banks, which makes things embarrassing). So Tolino comes out good in form way back in 2014. 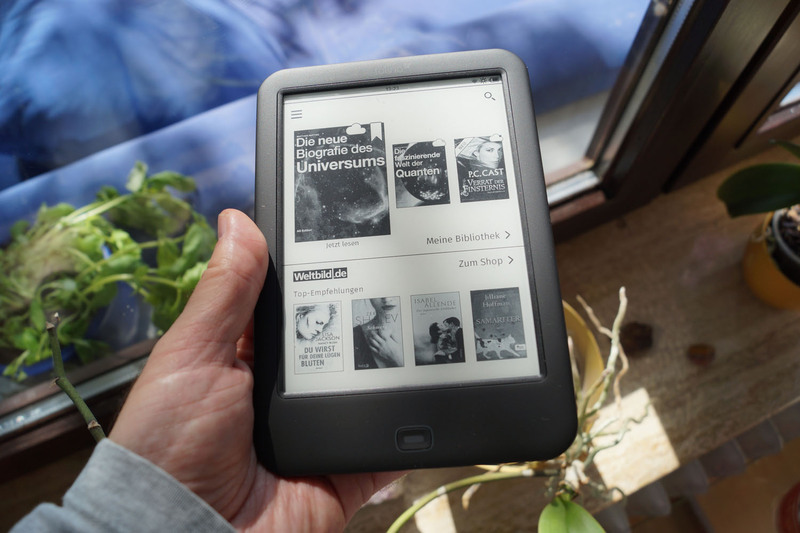 It brings serious competition to Kindle, and Germans celebrate in success. But things aren’t so easy once you get into the limelight. People start inspecting Tolino for its features, and what do they see? Well, that’s what makes the crux of our discussion. The first thing that they are that the product is entirely made from nation’s resources. None of it comes from outside. Deutsche Telecom is Tolino’s technology partner, bringing new updates and hardware tweaks to it as and when required. Not just that Deutsche Telecom takes care of Tolino’s production, software inclusion, hardware upgrade and marketing. In general, the local innovators make the device click. It’s a story when we look at how Tolino Allianz came about. 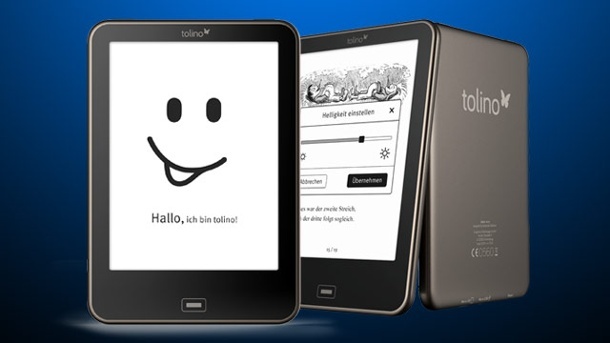 So we already know that the intention of bringing our Tolino reader was to create a German exclusive eBook reader. Not just that, this was a measure of not allowing Germans to migrate to other readers coming out of the US and UK. But there were a few things which even the Tolino Allianz couldn’t change. Most of these were for people who were already on the Kindle platform. 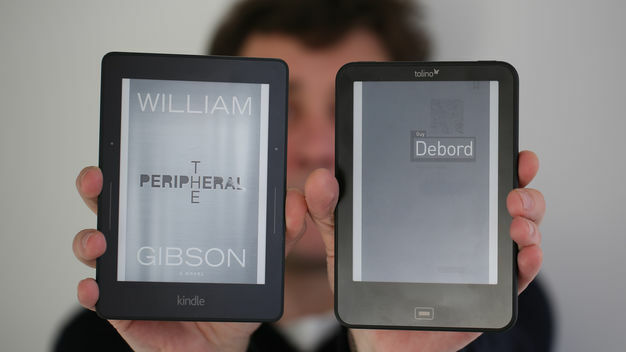 So the Germans found it difficult to bring the people already on Kindle back to Tolino. The main reason for this was that Kindle works in a closed environment, with AZW format, which is proprietary. So when people bought the Kindle eBooks, they didn’t have a choice but to read them on Kindle devices only. They couldn’t migrate from Kindle to Tolino. And the question was, would they buy one more eBook reader? So when we look at the things which led to bringing out Tolino, we have to see what went under the knife. In January 2014, when the first team up was done for Tolino, the first partner into it, Weltbild went under the hammer. The company files for bankruptcy and walks out of the team-up. In this scenario, Deutsche Telekom finds it difficult to continue with Tolino and goes for its e-book shop, PagePlace. It takes a whole new level of encouragement to bring out Tolino again, and the German BookStores wouldn’t just let it go. Hence, then it comes to the fact that, Tolino’s first eBook reader – Tolino Shine leads to Tolino Tab. But the evolution is not done yet, as Tolino jumps back into the market with yet another feature loaded reader – Tolino Vision. With a second eBook reader under its belt, Tolino brings all new things into the market. During the Frankfurt BooFair, Tolino grabs quite a few eyeballs owing to its sleek design and crisp display capacity. In another exciting news in the fair, the makers of this eBook reader brought out an announcement. The German group has brought the eBook reader Libre into their pack of things. Immediately, later on, Tolino users and BookGroup within the nation, almost 1000 stores, dropped their database and brought up cloud integration for the readers they had. The idea was simple, the readers within the regions of Germany had to bring the whole market to base out Tolino and none other shortly. The story of Tolino takes a drastic turn when we see that bookstores like Mayersche and Osiander were the new partners of the alliance. So the next step in the evolution of eBook readers came in when Tolino came out with two new e-Readers in Frankfurt book festival. In October 2015, Tolino Vision HD and Tolino Vision line came out aiming at the niche market. In the same fair, a new cheaper eBook reader which appealed to the basic requirements came out. Tolino Shine 2 HD, the lower-end option serves as an improved version of the previous Tolino Shine. The next step in Tolino was bringing the German product lines to Italian markets. In November 2015, Italian online shop was introduced by the Italian Tolino-Partners IBS. Ever since, indiE-Book, it has marketed Tolino products in Italy. The Tolino Vision has the latest in e-Paper innovation, e-Ink Carta. This is the exact screen technology found on the Kindle Paperwhite 2. This provides higher contrast options while eliminating the need for refreshing when you turn a page in an eBook. There are settings and menu options which allow you to set the refresh rates manually. The overall resolution comes at a comfortable 1024 × 758 pixels. One of the things that stand out with this model is that the screen comes within a bezel casing. The only other e-reader which is doing that same is six-inch Kobo Aura. 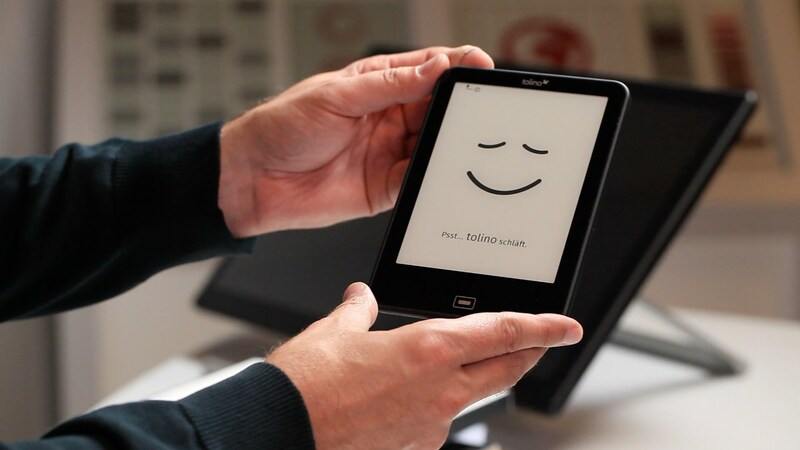 Therefore, Tolino almost feels like a tablet or smartphone in this respect. The Vision uses bleeding edge technology with the e-Paper tech, to give a solid reading experience. It gives you the best of the Kindle Paperwhite 2 and Kobo Aura in one slick little package. When you look at the inner composition, a Freescle iMx6 1 GHz processor and 512 MB RAM come in handy. The makers have loaded up 4GB of internal memory. However, once you take it out of the box for the first time, you are practically left with two options. You don’t have to worry here, as you still can load up to almost 1,500 eBooks on average within the device. Want more? Well, you can always expand the memory to 32GB via the Micro SD slot. The Tolino Vision has brushed aluminium on the backplate and rounded edges. There are a power button and front-light switch on the top of the unit and a Mini USB and SD slot on the bottom. There is a single software driven home key on the front, which is highly responsive. How Does The Software In Tolino Work? The Tolino Vision comes with a fairly basic home screen which has multiple responsive elements to it. Similar to Kindle, whenever you buy a book in the store, your bookshelf includes it. Also, it easier to pick up where you left off with automatic bookmark abilities. At the bottom of the main screen, you can see almost five or more suggestion to buy. You can simply click on any of these titles to see the product listing on the online bookstore. The library management system is relatively clear, with extensive options to make you feel right at home. You can quickly view books with their book cover art or condense them in list view. You also get the options to sort the library by author, date added or by title name. The ability to easily delete books on your shelf by hitting the delete key and selecting the titles is useful when you want to manage your space quickly. When it comes to managing the device library, you have an on-board storage of up to 4GB. In most cases, this storage should be enough for most people. By default, you can signup for TelekomCloud storage for books and can store up to 6GB of content. It is important to note that the maximum file size for each title is 500MB. They bill it as a way you can access your library titles in DRM format or student textbooks. The overall menu system is clean and intuitive. There are hardly any advanced elements outside of the settings menu to confuse or alienate the average user. The Tolino Vision certainly excels in the hardware department but feels lacklustre when it comes to the reading experience. You cannot register an account to buy eBooks on the device or cannot even log into the store unless you are in Germany. If you adjust any of the publisher defaults in a book you are reading, such as line spacing, margins or font size, you are in for a long loading delay if you reopen a book. The most damning aspect of the Vision is the PDF rendering engine they employ. You cannot pinch and zoom to magnify a particular area or text. Instead, you have to long press the centre of the screen to hit the plus or minus symbol for manual zoom, but if you want to zoom on the fly, things get a little crazy. The Tolino Vision is a fairly polished e-reader on a hardware level and is currently one of the most advanced ones in the world. Sadly, it is hampered by a series of software bugs and a deplorable state of PDF rendering. The great news is, this can all be easily fixed and updates can automatically be pushed out when you reboot your reader. The Tolino is a worthy investment if you live in Germany because the entire book ecosystem is built books published there. There are over 1.2 million titles in the library, which is a mix of translated works by modern American bestselling authors and books written and produced in Germany. There are also 250,000 free books available to get reading right away, although there is only one title on the reader out of the box.